It has been approximately two weeks since Patch 2.0.9, which involves buffing Banshee and nerfing Hellbat, goes live. The aim of the patch is the resolve the stagnate Hellbat vs. Hellbat metagame in TvT. This post is to evaluate the effects of the patch on the match up. Previously, I have discussed how the patch could potentially affect the Terran mirror metagame. I must admit that the metagame is not shaping up to exactly what I expected, although it is very close. Let’s start with the most important question. Does Hellbat drop still dominate TvT in early game? No. 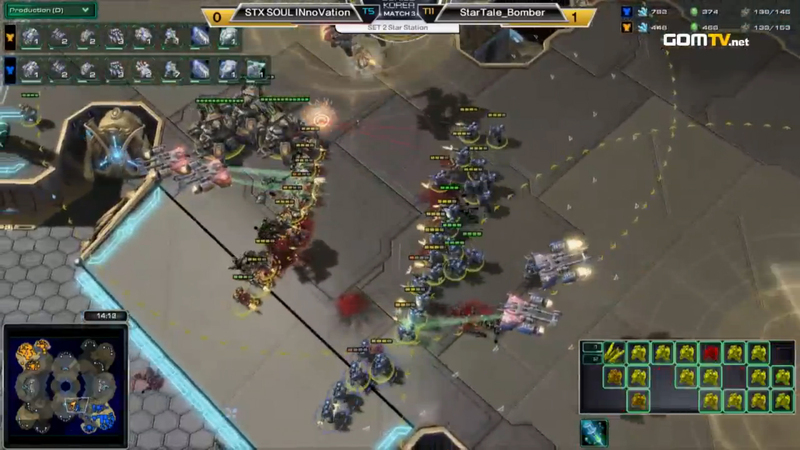 Based on the recent games from GSTL, WCS, Proleague and IEM, Hellbat drop in early game is almost non-existent. This signals that progamers do not see Hellbat drop to be cost effective without infernal pre-igniter upgrade. This is not the most ideal result, as you want Hellbat drop to be a viable option in the opening for diversity. However, the low usage of Hellbat drop may be due to the immediate “post patch effect” whereby players tend to try the buffed units even though it may not be the best option. That is, Hellbat drop usage may increase to its “normal” state after a sudden drop. Is Banshee the new Hellbat in early game? However, despite that post-patch Banshee opening has the same popularity as pre-patch Hellbat drop opening, the effective time frame of Banshee harass is much shorter than Hellbat drop. Hellbat drop can be cost effective even in the mid and late game by doing suicide drops to trade with Scvs. In contrast, Banshee can hardly sneak to the mineral line and deal enough damage to cover its own cost. In terms of defense, a missile turret in the mineral line makes a significant difference against Banshee. Even though the Banshee can hold position at the edge of missile turret’s attack range to kill workers, it is still vulnerable to Marines and Vikings due to the detection range of the missile turret. This makes Banshee more playable than Hellbat drop, albeit it is still effective in its own way. Raven rises along with Banshee in post patch TvT. Prior to the Banshee buff, Raven has a unique role in TvT. Raven is extremely important in late game air Terran battles, but it is also just a piece of 100 mineral/200 gas decoration with no actual purpose at other point of the game. Perhaps the only exception is when a mech player wants to use point defense drone against a Marauder heavy composition. In a Banshee vs. Banshee opening in patch 2.0.9, players often get a Raven after one or two Banshees have been produced. Subsequently, the starport is used to produced Vikings to control air along with a Raven. 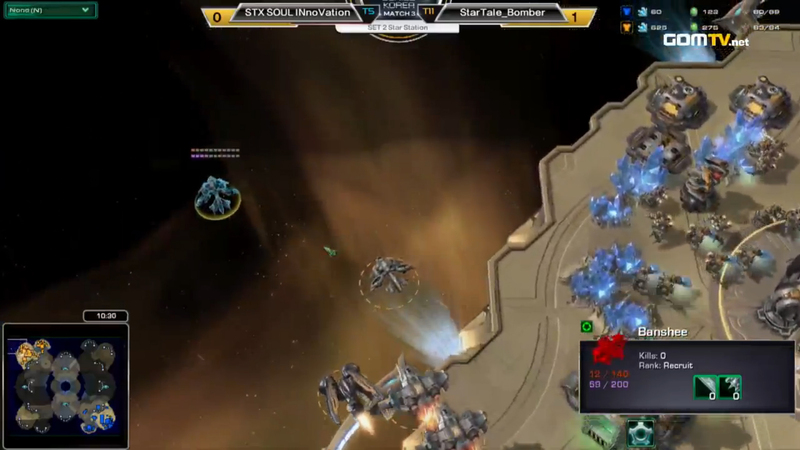 Game 3 of Polt vs. TaeJa in WCS America provides a good demonstration of the current Banshee metagame. The adoption of Raven is another reason why Banshee’s harassment time frame does not extend beyond the early game. The Banshee can get gunned down by the Raven (detection) and a few Vikings before it can even kill an unit in later stage of the game. Yet it is unclear if the opportunity cost of a Raven at the early stage of the game outweighs its benefit. Although the detection ability of the Raven can effectively zone out Banshees, it does not serve a specific role after that. The best way to utilize the Raven subsequently is to use the seeker missile on sieged Tanks. Thus, Raven may be dropped if players discover other better options. Before the patch, mech is the better composition in TvT than bio. This is evident when most players opt for mech in big maps like Whirlwind. With the new patch, the old school Marine-Tank battle is back as players do not see mech as the obvious best composition. However, interestingly, is it the Banshee buff or the Hellbat nerf that pushes the comeback of bio? I will argue that both have effects on the resurgence of bio, but with Hellbat nerf having a stronger effect than Banshee buff. I have previously stated that the mobility of Hellbats and Medivacs would revolutionize mech even when it was relatively less successful back then. Hellbat drop was the perfect final piece of the puzzle for mech. It does not only provide the mobility that mech lacks, its ability to pin opponent in base gives valuable time for mech to transit smoothly. Moreover, the Hellbat itself fits seamlessly with the composition of mech by providing cover the Tanks. Now that Hellbat drop has not been utilized much before infernal pre-igniter upgrade is researched, hence, mech does not have a good early-mid game harassment tool. At least not at the same level of effective than pre-patch Hellbat drop. This results in players using more conventional mech openings like proxy Marauders. The interaction between Banshee and Hellbat opening has also changed with the patch. Prior the patch, Hellbat drop opening beats Banshee opening because of the relative ease to defend and execute. The Banshee player does not have other units to defend against the Hellbats other than a couple of Marines. On the other hand, the Hellbat drop player can get Vikings through the reactor starport against Banshee. Most importantly, Hellbat drop does economical damage quicker and easier than Banshee. Of course, this has changed in the new patch. Banshee is now seen as a more superior option than Hellbat drop in early game. It is mainly due to the ease of getting the key upgrades (Cloaking field vs. Infernal pre-igniter). Cloaking field research lines up well with any Banshee build. But it is less straight forward for Infernal pre-igniter upgrade. You need a tech lab on the factory for the upgrade, which forces you to produce just one Hellbat at a time. If you want to have another factory, with or without reactor, it cuts into the resource for the starport and armory. By the time these key buildings are set up, you still have to wait for the completion of infernal pre-igniter upgrade. If you spend the resource on the upgrade first, and produce Hellbats when the research is upgrading, you are vulnerable to many openings. Just one Banshee could potentially end the game. Banshee buff has also discouraged players to use mech. Marine-Tank transition after a Banshee opening is smoother than a mech transition. In order to transit from Banshee opening to mech, the factory should be producing Hellions while the starport produces Banshee. A Marine-Tank transition is better because it can deal with opponent’s Banshee better with Marines than Hellions of mech. Thus, the mech player will have to produce Widow Mine to defend against Banshee, and it is arguably not the most effective counter. Subsequently, Marine-Tank transition has a three Tanks push timing, which INnoVation loves to do in most of his Banshee opening games. This push may be too much for a mech transition to hold with Widow Mines and Hellions. On paper, like I have mentioned above, it is difficult to transit from Banshee into mech. However, Dream brought up an innovative way to do it in his WCS games against FanTaSy. Dream does not take a second refinery, which is crucial for cloaking field research, in order to squeeze out mineral for Hellions and an earlier command centre. The trade off is that he does not research cloak for Banshee. His early game composition mainly consists of Hellions and Vikings (and a Raven against Banshee). The Hellions are used to kill the Marines, and this indirectly defends against the push that I have mentioned earlier. At the same time, the Vikings are used to defend against Banshee. Dream filled the gap of early game harassment with Hellion drops, while infernal pre-igniter is researching. When the upgrade is completed, he dropped with Hellbats. The armory was built much later to line up with the infernal pre-igniter upgrade. Dream’s style could potentially be the future of mech.